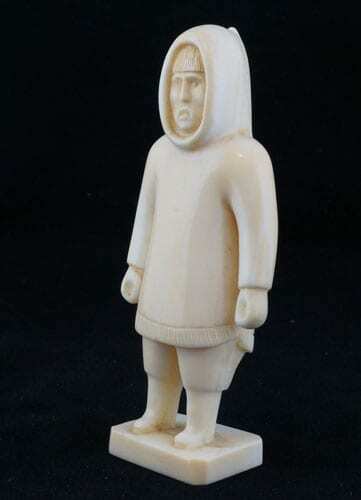 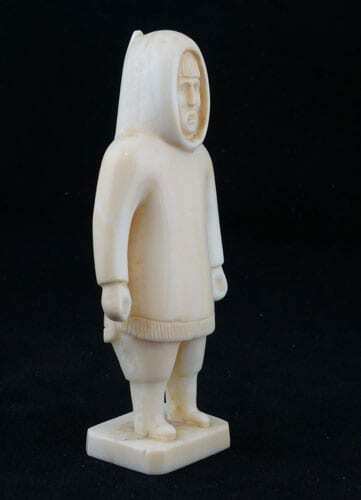 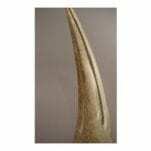 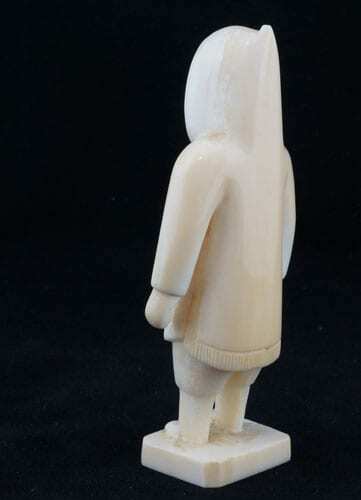 This is a finely detailed figure carved from walrus tusk, imported from the community of Kimmirut (Lake Harbour) in the 1950’s. 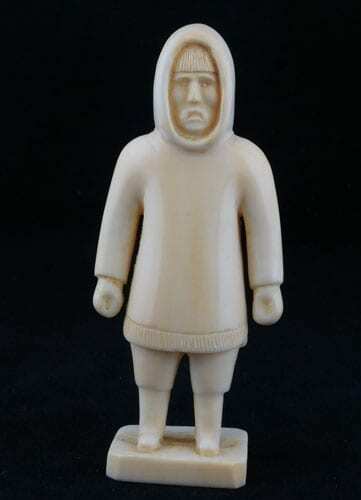 The beautiful facial features are delicately framed by the male parka. 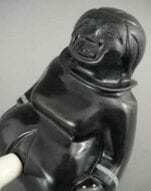 The small point on the hood and the soft drape of the parka make this small figure come alive. 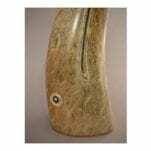 4 1/4″ h x 1 5/8″ w x 7/8″ d<br><br>Because of marine mammal protection laws, this item can only be shipped within the United States.